Every year between Christmas and New Years the eagles come out and play at a particular spot about 45 minutes from where I live. This year, I decided to take that week off so I could head out each morning to see if I can capture some awesome eagle images. I managed to capture a ton of great shots so expect to see many more eagle photographs in the upcoming posts! I love how the eagle is crying out while flying (hence the title) and especially love the clouds and how they envelope the trees. Just love this shot! 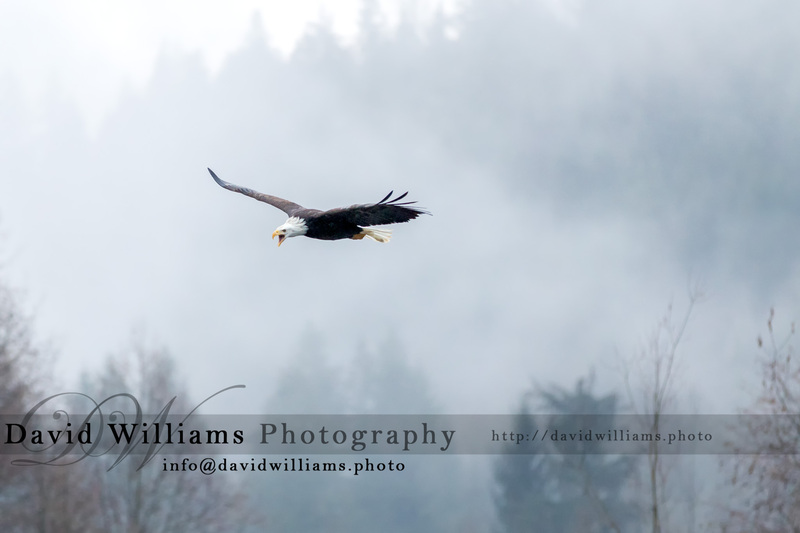 Love the fog enveloping everything except your eagle David. Beautiful capture. Thanks Tina, I really love it too!